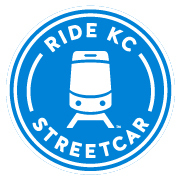 The KC Streetcar system is coming, and the progress has local developers excited. Investors should be excited too! The Kansas City market is attractive to talented, up-and-coming millennials who will be looking in the rental market, and an alternative form of transportation only increases the area’s draw. For tenants, the streetcar translates to decreased household expenditures on transportation, meaning more expendable income to enjoy a better lifestyle — or a better home. The added convenience of the streetcar service also proves attractive across generations, providing more options to and from home, work, or play. But there are even more bonuses for investors! Access to public transportation increases property values, and the dedicated route lets you know where transit is going, i.e. where the renters will be going. This means you can make smart, informed decisions in purchasing new investment properties that will continue to cash flow as Kansas City grows. See what area professionals in real estate, development and other ventures have to say in this video from the Kansas City Regional Transit Alliance.